It’s the first of five meetings the mayor plans to attend as she seeks campaigns for a $20 million millage reallocation that would affect city funding for the Audubon Commission, the New Orleans Recreation Development Commission, the Department of Parks and Parkways and City Park — the latter of which looks to get city funding for the first time in its 169-year history. 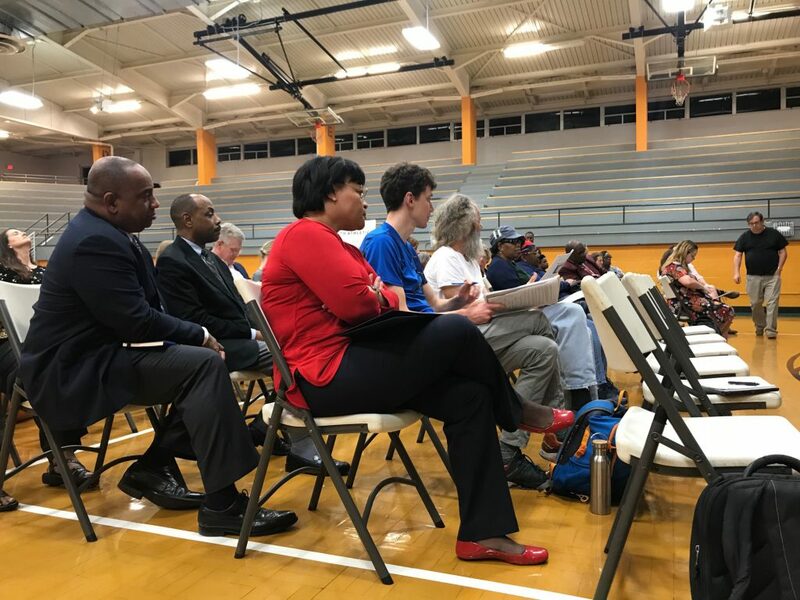 Cantrell’s meeting Thursday was held in City Council District B, and directed at residents living there. She’s expected to attend four more meetings this month — one in each of the other City Council districts. If approved by voters on May 4, the city would see a major shift in how the 6.31 mills going toward parks and recreation would be split up, with Aububon seeing a drop from 3.31 mills to 1.95 mills, which translates in dollar figures to going from almost $11 million in city funding to just under $6.6 million. NORDC and Parks and Parkways would see modest increases, with NORDC’s funding going from 1.50 mills to 1.95 and Parks and Parkways going from 1.50 to 1.80. City Park, a state entity, would receive city funding for the first time in the form of .61 mills, or just under $2 million in property taxes. The vote is for the reallocation of an existing tax — not a tax increase. Cantrell touted the plan as a much more equitable distribution of funding for the agencies, adding that all organizations were on board and in agreement the plan is the best use of funds. Representatives from each of those agencies were there as well, speaking in favor of the plan. Cantrell highlighted the effort as increased communication from the parties involved, something that’s a priority for her administration. “This is that example that I know I’ve been looking for to demonstrate and to show you, meaning the public, that I am more than committed to doing more with the dollars that you all generate,” Cantrell said. 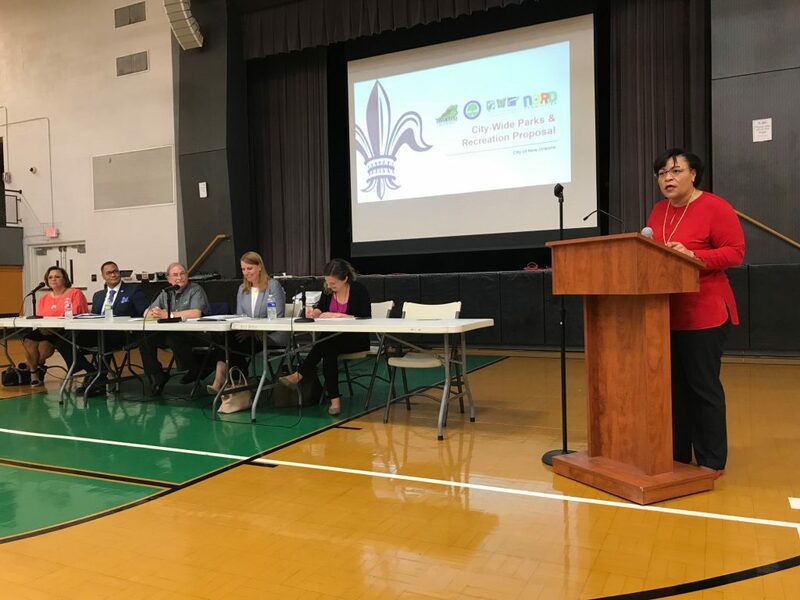 Cantrell’s message was met much more positively at Thursday’s meeting than at a community meeting at St. Mary’s Dominican High School last month, where her administration faced a crowd with several Mid-City residents questioning why Audubon would see so much more money than City Park. The mayor didn’t attend that meeting. But no significant concerns were brought up by those at Thursday’s meeting, though there were some questions about the city’s argument that the park funding is, in part, to help storm-water management issues. Ann Mcdonald, director of Parks and Parkways, said the funding really could make a difference in that effort, adding that planting trees will provide a natural source to soak up rainwater, providing some relief for the city’s pumping system during major rain events. Other benefits laid out were increased security at parks, as well as shared resources between parks and more discounted admission opportunities at paid facilities. Lisa Fitzpatrick, a resident of District B, said that coming into Thursday’s meeting, she was concerned about exactly what the proposal was going to do with the property tax money, but left feeling convinced the plan should work. “It’s long been an issue in our city where agencies are siloed and the right hand doesn’t speak with the left hand, so this is an opportunity to really recognize this and work together,” she said. Richard Dimitry, another District B resident who attended the meeting, didn’t leave feeling as confident. He added he does support the millage, though, and will vote for the reallocation. But, Dimitry questions whether the more effective communication claimed by Cantrell, as well as the money being spent effectively, will actually happen. One concern District B Councilman Jay Banks — who also spoke at the meeting — was quick to dismiss was the idea that any plan involving improved storm-water management in some way involved the Sewerage & Water Board. Cantrell’s next scheduled community meeting is for District A, planned for Feb. 12 at the Parkview Terrace Room inside City Park.